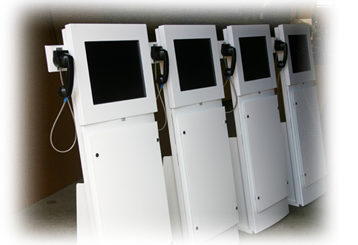 Constructing high quality kiosks that are interactive alongside building directories, you can only trust one company to get it right the first time: RedyRef! 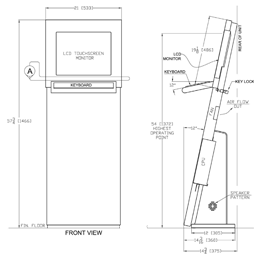 RedyRef can complete projects from step one to the end result all in house with a team of expert manufacturers, designers and engineers that can brand any kiosk or building directory with your brand in mind. 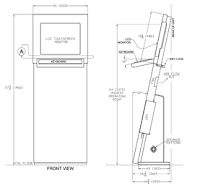 Check out the steps below and various kiosks that can be manufactured. Step 1: It all starts with the evaluation and design. Turning concept into reality is RedyRef’s strong suit! Step 2: This is where the magic happens! 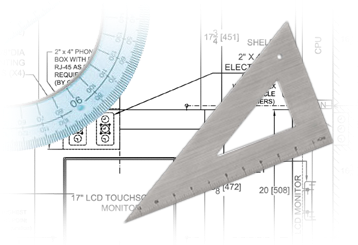 Engineers begin to bring the concept and design to life with CAD drawings and measurements. 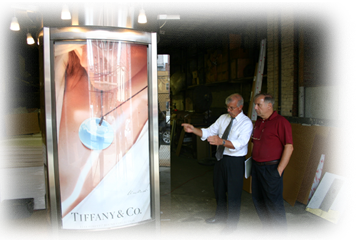 Step 3: The prototype is created and allows for the client to stop by and check out the progress. If the client wants something changed before production, the RedyRef team can adjust! Step 4: The final production of the kiosk finishes its journey from an idea to a physical product!